In the last post on my breastfeeding story, I wrote about the first couple of weeks after coming home from the hospital (Part 3). Today I’m going to write about my local breastfeeding support group. This group played a huge part in my motivation to continue breastfeeding, even when things were difficult. The first time I attended the support group was when Little Man was just six days old. That happened to be during National Breastfeeding Week, so rather than the usual support meeting, there was a coffee morning in the local hotel. This coffee morning was actually a nice introduction to the group. The following week was the first week I went to the actual support group. I needed my mother’s help to get ready to leave the house. The group was on at 10am, and Little Man had been awake for most of the night the night before. To be honest, I would never have motivated myself to go, except that I had gotten my times mixed up, and thought that I needed to head down that morning to get Little Man weighed for his two week checkup. But I got there to discover that actually the weigh-in was that afternoon. I could have cried. I was so tired and it had taken so much effort to leave the house. Rather than waste all that effort, I decided to go to the support group meeting. There were three or four other mothers and a Public Health Nurse there. Little Man was the youngest baby by several months. But the girls were so welcoming. They each took the time to ask me about how the feeding was going and to let me know that they had all had similar experiences in the first two weeks and that it would pass. They were wonderful proof of that. Getting Little Man ready to brave the cold and head to the group! In later weeks, when I was really struggling, it was often the thoughts of the group that kept me going. I remember when Little Man was four weeks old and it really was make or break time for me, I thought, “But if I quit I won’t be able to go to the group.” And that was motivation to keep going for another day. Total nonsense of course looking back on it now, because the girls would still have welcomed me to coffee regardless of whether I managed to continue feeding or not! But many other weeks, when I was struggling with the feeding over the weekend, I would think that if I could just keep going until the group on Wednesday, then I could talk to the girls about it and decide then whether or not to keep going. And usually by the time Wednesday rolled around, things were looking up. When Little Man was about three months old, there was a really cold snap, and the group was cancelled for a few weeks. When it started up again, something strange had happened. Most of the Mammies who were attending the group when I started had returned to work, so they didn’t go anymore. For a few weeks, it was just me and one other Mammy there most weeks. And at that stage, we were both established breastfeeders, so we weren’t really there for support. Waiting for the coffee to arrive! A month or so later, the group started to build up again, with new mammies and new babies. And suddenly I realized that Little Man wasn’t the youngest in the group any more. Far from it. He was getting ready to start solids, while some of these babies were only a few weeks old. Somewhere along the line, I had gone from being the new inexperienced mother in the group, to one of the ones welcoming new mothers to the group, and reassuring them that yes, we had been there too, and it does work out in the end. When I weaned Little Man at seven months, I continued to attend the group. I kept going until I went back to work when he was ten months. And these days, those girls who were looking to me as the experienced one when their babies are newborn, are now the experienced ones in the group passing on the reassurances. And I think that’s part of the reason this particular group works so well. As with most things in life, often I think these groups are what you make them. The first few weeks that I attended the group, I appreciated other mothers taking the time to introduce themselves, welcome me, and ask me how I was getting on. So later when things were working out for me, it was important for me to do the same for others. I was so nervous heading down to attend the group those first few times, but through that group, I have met wonderful, interesting women who I’m delighted to keep in touch with to this day. I recommend to any new mother to try to make the effort to get out and mix with other new mothers. Because in the days when you don’t know up from down because you are so drained, it’s fantastic to have someone to reassure you that they feel the exact same way! In the next part of my breastfeeding story, I’ll talk about the low points. That’s exactly how I felt about the support group – I really used to look forward to it, and it probably contributed to keeping me feeding baby for as long as I did, although I didn’t make it much longer than 4 months. Apart from the support with feeding, I just really appreciated being able to talk to other first-time mothers, ‘cos only they really understand what you are going through. I think these kind of support groups should be available to all mothers, not just those who are breastfeeding. 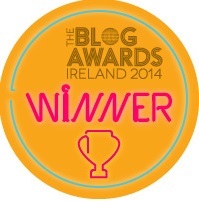 Not being from Balbriggan originally, I knew no-one here apart from my husband (! ), so it was kinda lonely being home here all day with a new baby. The BF group really was a life-line. Love ya all girls! Totally agree Jennifer. I often felt that it should have been a mammy and baby support group rather than a breastfeeding support group. Because feeding is really just one aspect that you need support with in the early days. It was exactly the same for me in my area – the BF support group was my lifeline and most of the girls were at my sons’s first birthday party recently. We’re all still friends. I wish these groups were so well established in all areas and were open to all new mothers. Totally agree Lollyfp – support groups are so important. The girls from mine are great and we’re still in contact. As a mum who gave breastfeeding all I could at the time and reluctantly switched to formula very early on I completely agree. 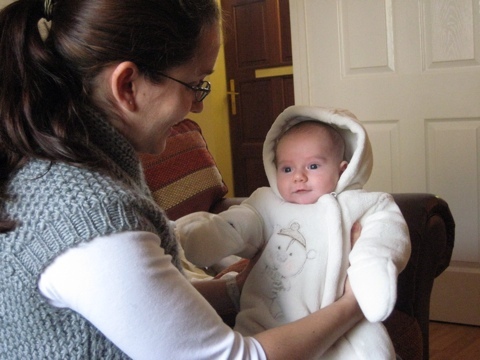 I felt very isolated on maternity leave because there was no group for me! (at least none that I didn’t have to pay to be a member of!). I’m not from the area where I live now and without a group like those available to breastfeeding mums to fall back on I had an uphill task finding new mums to bond with, to share worries and concerns and also celebrate those wonderful little milestones that make it all worthwhile in the early weeks. 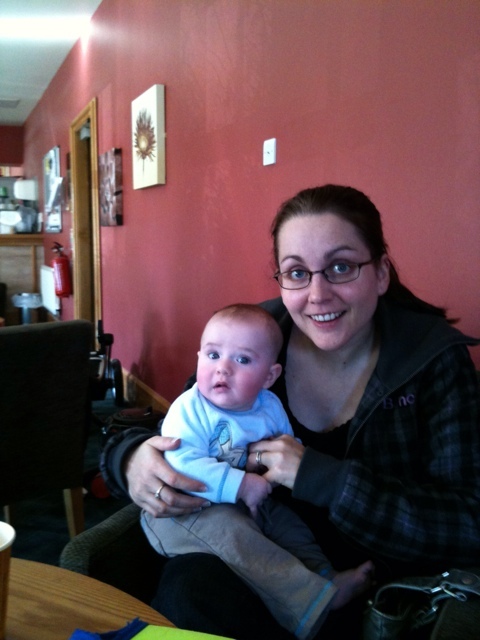 Thankfully I did manage to meet some lovely mums locally – mostly through internet forums which was a new venture for me! – but still the early months were so much harder because those simple supports were not there. I even went so far as to question my PHN as to why the breastfeeding support group wasn’t simply a new mum support group but she looked at me like I had 10 heads! Very frustrating for an overwhelmed and very lonely new mum! You know I completely agree with you about those groups needing to be open to all new mothers. I don’t understand the need to make them exclusively for breastfeeding mothers. I think the very fact that they are just for breastfeeders puts a lot of people off. I know I wasn’t sure what to expect when I first attended it. We used to ask the PHN about everything from dealing with vaccinations to weaning to sleep issues. Of course, we asked them about breastfeeding, but the group supported much more than that. When numbers started to dwindle in our group, several PHNs asked me if I had any ideas how to increase numbers, and I would say half of them gave me the reaction you got when I suggested opening the group to all new mothers. But the others told me they thought it was a good idea too, but that the HSE wouldn’t fund it. Unfortunately, that leaves us with no option but to set up new groups ourselves – which is not necessarily something at the top of your to-do list when you’re struggling with a newborn.